The H P 4000 was developed for dependable performance. 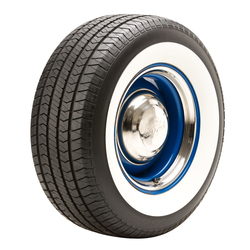 This high quality and affordable tire features a smooth raised white lettered sidewall and comes in all the right sizes for vintage and modern muscle cars. 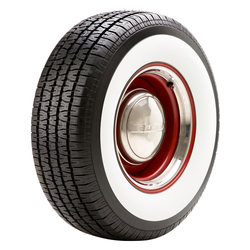 With a timeless look that perfectly accents vintage and muscle cars, these tires provide sure-footed traction under all conditions and are sure to stand out in the crowd. All-season high performance tire with excellent handling and traction without sacrifice to treadwear. 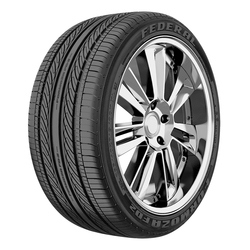 Tread pattern has wide grooves and kerfs provide good all season performance. Computer optimized tread pattern for a smooth, quiet ride. V-shape tread design for superior handling in both dry and wet road conditions. Compound and overall construction yield optimum traction on all road surfaces, outpacing the competition. PERFORMANCE SUV LIGHT TRUCK In search of style but don't want to sacrifice performance? 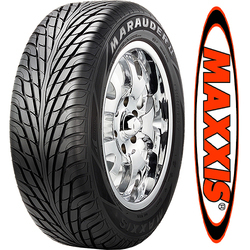 Look no further that the MA-S1 Marauder. The Marauder combines an attractive sidewall design with a unidirectional tread pattern which offers the driver superior versatility. Phoenix Tires' Drag Race tires. Brand new radials, stiff and wide slicks to choose from! Compounds for various applications including our soft F31, medium F9 and medium hard F14. Born from 40 years of drag tire history. Quality control: We measure, match and inspect every tire to assure they all meet Coker Tires standards of excellence. This Diamond Back tire is constructed using the Milestar Streetsteel tire. This tire offers a lower price alternative to Diamond Back III while still satisfying most 50,60,65, and 70 series sizes. With a nostalgic 70s style tread, a T speed rating, and a 440AB UTQG, the Diamond Back SS is an affordable, quality tire. All sizes are available in Whitewall, Redline, Goldline, Blueline, smoothies and more! 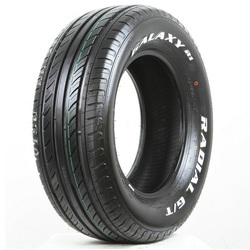 This Diamond Back tire is constructed using the BF Goodrich Radial T A tire. America's favorite Performance tire. 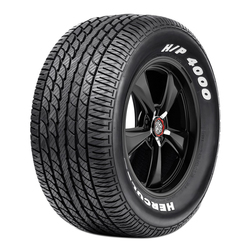 This tire handles the 60 and 70 series markets for muscle cars, customs, and those looking for this tried-and-true well-known tread pattern. With sizes ranging from the hard to find and ever popular 155 80R15, to super wide 295 50R15, you can customize your ride's stance a million different ways. 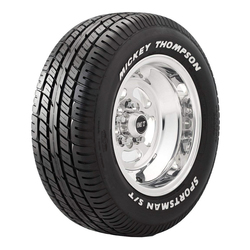 Mickey Thompson's Sportsman S T Radial was designed for Muscle Car owners demanding Performance, Quality and Styling. Raised White Letters or Black Sidewall out this All Season Performance tire will give your Muscle Car a wide low profile look along with the great handling and performance that your car deserves. The Radial T A is BFGoodrich's Performance All-Season tire developed for the drivers of muscle cars, kit cars, street rods and light trucks looking for wide, low profile, white-lettered performance tires. Today's Radial T A tires are designed to combine classic looks and size range with modern manufacturing methods and year-round traction, even in light snow. The Radial T A molds an all-season tread compound into a symmetric independent block pattern featuring unique tread block phasing and variable groove angle geometry to provide low noise, predictable performance and year-round traction. The tire's internal structure includes twin steel belts that stabilize the tread. BFGoodrich's g-Wedge technology makes this the best performing Radial T A ever by featuring the high modulus sidewall stabilizers found in many of BFGoodrich's higher performance radials. 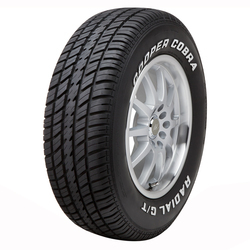 The Cobra Radial G T all-season tire features raised white letters for those who want to retain the characteristic "look" of their classic muscle car. 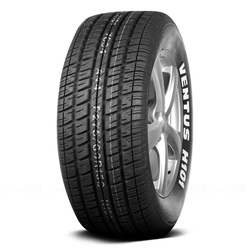 Refined tread element shape helps disperse water and slush for excellent all-season traction. Notched center rib helps provide even treadwear. Shoulder slotting designed for resistance to irregular wear while providing solid, all-season performance. The evolution of the FD1, Federal's all new and improved Formoza FD2 Ã all the performance and comfort features of the FD1 plus Federal Technology Centers newest add-on, D.P.E.T. (Disorder Pitch Evolution Theory) to reduce noise levels to the minimum while maintaining performance and handling capabilities. This extension of the popular Formoza series provides the performance and comfort you need, with the looks to crave for. FD2 is the one and only for your luxury sedan.